The F5011 has 8 channels. The P0-P3 programmable buttons allow you to customize the radio to suit your needs and convenience. Use the bult-in 2-Tone, 5-Tone, MDC 1200, CTCSSS and DTCS capabilities as standard to set up your own talk groups and quiet stand-by when others are talking. Up to ten 2-Tone or eight 5_tone codes can be decoded on a channel. Features such as stun, kill, revive, answer back, auto TX, scan audio output are programmable to respond to each tone. 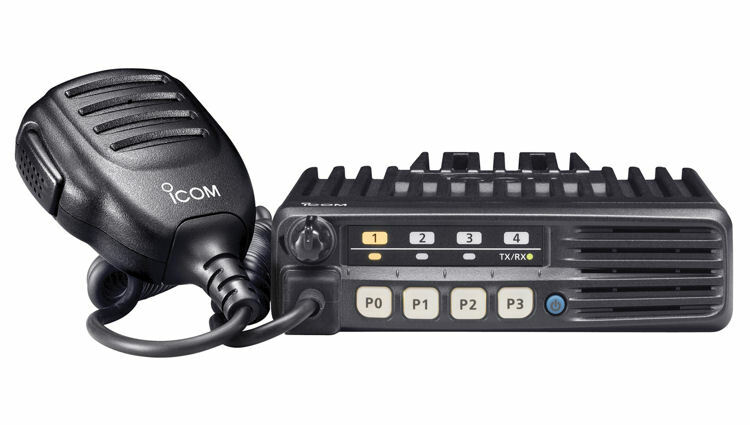 The F5011 has a built-in MDC 1200 for transmitting a PTT ID and emergency * signal and for receiving radio check, stun and revive. Assimilate the radio easily into existing MDC 1200 systems. The optional ACC cable allows you to connect with various external devices to control audio output, modulated singal input, remote channel control, horn honk and many more functions. 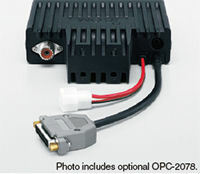 OPC-1939 is a D-SUB 15-pin type and OPC-2078 is a D-SUB 25-pin type. The F5011 is tested to MIL-STD 810 F specifications. The radio is built to survive harsh environment and keep working.